Have you ever worked with a girl with Rett Syndrome? I can still remember seeing my first girls with Rett and feeling a little lost. This was quite a long time ago, and neither the technology nor out understanding of Rett was what it is today. As a matter of fact, this was only a few years after the second article about the disorder was published in 1983. I had ideas, and we certainly tried a lot of different things. But knowing what I know now, I sure wish I’d tried some more. 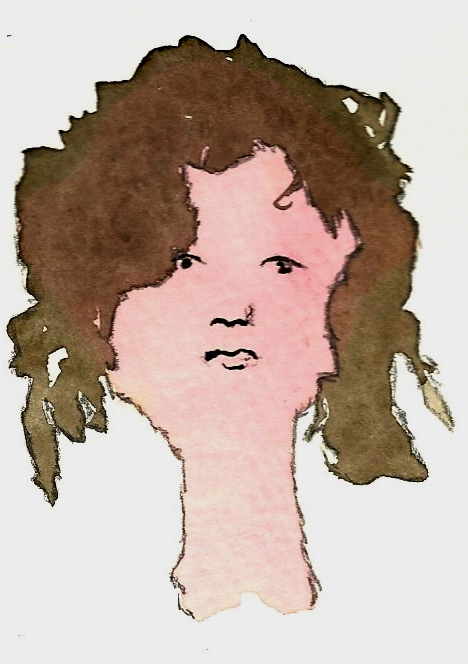 Now, decades later, I’ve seen many more girls with Rett. As an AAC evaluator in a large urban AT setting, I can safely say I’ve seen my share. And each one of them is so unique. I’m learning all over again each time. Rett syndrome is largely a disorder of Apraxia. Many SLPs are familiar with Apraxia (or Dyspraxia, if you prefer – the difference is the degree of severity) as a speech disorder. 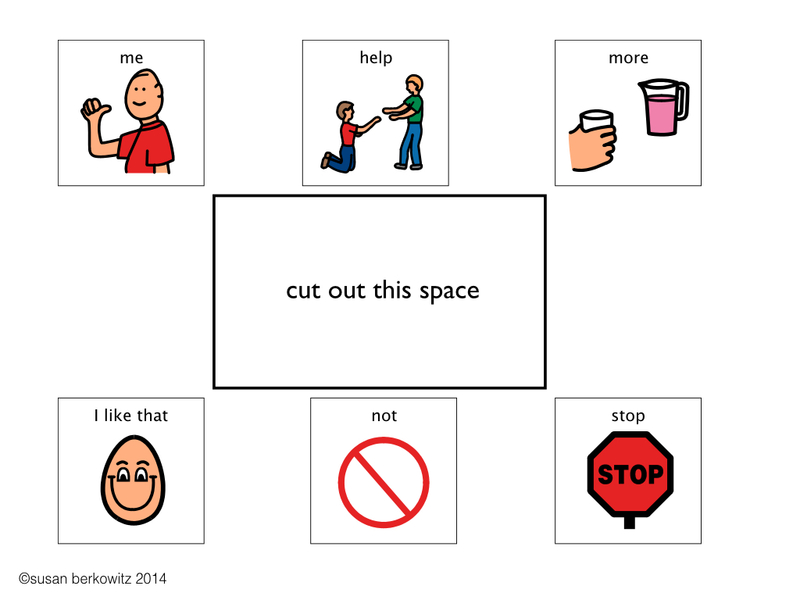 We see many kids, including those with Autism, who have difficulty with making the intentional movements of their speech mechanisms necessary to form the sounds of words and with getting from sounds in words to the connected words of continuous speech. In children with Rett (Rett only rarely strikes boys) there is a widespread neurological disorder that appears after a period of typical development, showing first as a slowing or stagnating of development, followed by a period of regression. 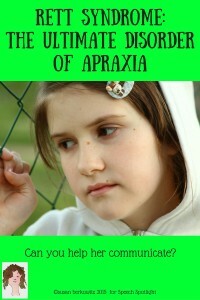 The Apraxia displays as an inability to reliably make her body do what she wants it to do. Dyspraxia is less consistently unable; sometimes the message gets from the brain to the body – albeit slowly. However, Rett is not a degenerative disorder, and girls with Rett can and do make progress! The apraxia – that inability to connect deliberate thought with deliberate motor movement – is the most debilitating and marked feature of the disorder. It interferes with all body movement, including speech and even eye gaze. It is consistently inconsistent; varying throughout the day, the week, and over time. The impact on eye gaze is interesting to me. Because, in spite of difficulty with eye gaze, many girls with Rett do well with eye-gaze based AAC systems. I’ve seen girls blossom with the ability to be social that AAC gives them. One high school aged girl I’ve known for many years loves to be with her peers, enjoys whatever interactions are going on around her, and loves it when she can contribute using her eye gaze AAC system. For other girls with Ret,, however, eye gaze is not as successful. Many are using Partner Assisted Scanning as a mode of access to AAC. Thanks to the tireless efforts of Linda Burkhart, (http://www.lburkhart.com/handouts.htm ) many are successfully using PODD communication books (Pragmatically Organized Dynamic Display) with partner assist. What can you do when communicating with a child with Rett? Sometimes it can help to provide a slight physical assist to get the body towards initiation. Sometimes it helps to hold one hand/arm, to interrupt stereotype movements. Don’t keep repeating yourself. This actually makes it harder, and makes the wait time longer. (This is true for many other disabilities, as well, so remember this.) Think of it like refreshing a web page. You know how impatient you get, so you refresh? Then it takes even longer because the download has to start over again? Yep, that’s the thing. Relax and wait – I can’t say this enough. No pressure. Provide an easy way for the child to respond to PAS by teaching simple movements for yes and no, as a way to accept/reject items as scanned. 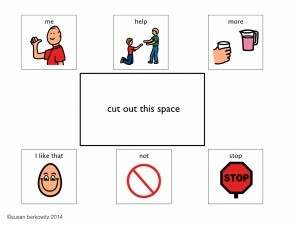 Apraxia impacts movement; not cognition. Never underestimate a girl with Rett. Communication is a beautiful thing. I have worked with one girl with Rett. She was two years old, and I began working with her before she got her diagnosis, and then until she was five. It’s such a heartbreaking disorder! She is now a middle schooler and uses an eye gaze based AAC system successfully. She is an amazing child! It can be very sad. I know one girl who is in high school – about to leave school – and I’ve known her since she was 7 or 8. She uses a Tobii eye gaze system and she is the most amazing, social young lady! I’m so glad we know so much more now than we used to!